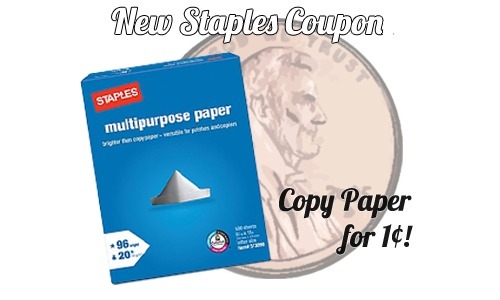 If you’re looking to buy printer paper this week, check out this Staples coupon deal where you can get a ream of 8.5 x 11 multipurpose paper for 1¢ after this easy rebate! This is a great way to stock up on paper for all those coupons you have to print! You can also get a 5 ream case for $3 too so stock up. See more Office Supply Deals.